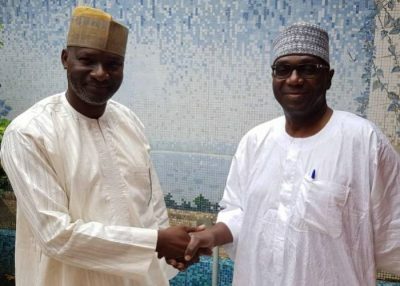 Ahead of today’s governorship primary of the All Progressives Congress (APC) in Kwara State, a leading governorship aspirant, Mr. Mohammed Dele Belgore (SAN), Friday withdrew from the race and ordered his supporters to vote for Alhaji Abdulrahman Abdulrasaq. Twelve governorship aspirants are jostling for the ticket of the APC in today’s primary. Belgore, had earlier been tipped as likely to win the party’s ticket because of his large number followers and strong structure having flown the governorship flag of the defunct Action Congress of Nigeria (ACN) in 2011. In a statement issued in Ilorin on Friday night and signed by Mr. Belgore, he said he took the decision to step down for Abdulrazaq in the larger interest of the state. The statement read: “I hereby announce that I am stepping down for my brother Alhaji Abdulrahman Abdulrazak and urge all my supporters to back his aspiration. “I take this decision in the larger interest of our people, the unity of our party and to enable us move forward towards the change we all desire. “I thank all members of my family, our supporters and the people of Kwara State for their overwhelming support since we entered the race. I can’t thank them enough”. Also on Friday night, another top aspirant, Ambassador Yahaya Seriki, was said to have withdrawn from the race and pledged to support Abdulrazaq. Abdulrazaq is the son of the first lawyer from the North and former President of the NSE, Alhaji AGF Abdulrazaq.